Thinking a split AC will cool more than a same capacity window AC is a misconception. Sure you can choose split AC because of its aesthetic appeal or some other benefit but a 1.5 ton split AC will cool only as much as 1.5 ton window ac not more than that. Always looking for a higher star rating while buying a new air conditioner may not be the best practice. It is true that a high star rating product would be more energy efficient and would save you in electricity bill but you must have enough usage to justify higher initial purchase cost. 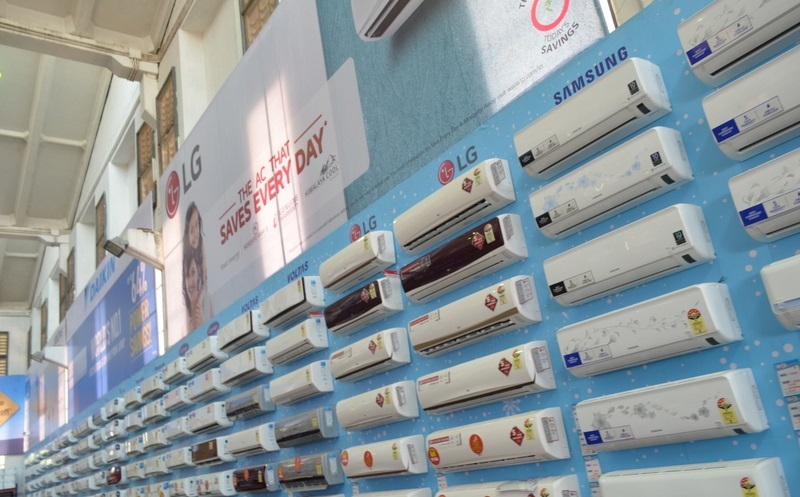 Its simple math if you have enough usage within AC life cycle to recover higher initial purchase cost its always recommended to buy the most energy efficient product but if your AC is installed in a area which you use only sparingly its wise to save on initial purchase cost. One of the most important factor while buying a new AC is right tonnage calculation for the area it is suppose to cover. For a basic understanding for area of around 100 sq.ft. you need around 1 ton AC. But you also need to consider so many other things like whether it’s a top floor or there is construction above it, how big a glass window is there, how many heat producing equipments like computer or TV are there in the area and finally how many people will be there in the area. If you buy a less tonnage machine for a bigger area air conditioning would not be proper no matter how good machine is and vise versa. While its important to consider brand which has best machines it would be only foolish not to consider after sale support of the brand. During AC life cycle you will many times need after sales support for servicing and other minor or major repair jobs like gas filling etc. It can be really painful to wait endlessly for proper after sale support due to higher load at the time of season when you need it most. Inverter air conditioners are taking on the traditional air conditioner at a very fast pace. There are many benefits of inverter air conditioners like power saving, flexible cooling and uniform cooling. They also always use the latest refrigerants. More and more people are tuning towards the inverter technology in air conditioning. Its always wise to consider the latest technology specially when it has so many benefits as the inverter technology has.